The St John CBR NightCrew is a collaborative initiative between local government and industry to help people have a safer night out in Canberra. Managed and run by St John Ambulance ACT and staffed by trained volunteers, the program uses a harm minimisation approach to help people avoid being robbed or assaulted in Canberra City on a night out. The program operates a safe space near Platform 8 of the City Bus Station on Mort Street and is staffed between 10pm and 2.30am on Thursday nights, and between 10pm and 4am on Friday and Saturday nights (Friday nights during Daylight savings months only). The tent has chairs for people to rest, water for hydration, advice and assistance for safe transport options, basic first aid and mobile phone charging, so that people can contact friends or arrange a lift home. Roving teams of volunteers move around Canberra city to help those that come in harm’s way or provide assistance in avoiding it. Canberra is still one of the safest capital cities in Australia, St John CBR NightCrew hopes to keep it that way. In partnership with the Justice and Community Safety Directorate, the St John CBR NightCrew program is looking to engage additional Duty Coordinators, Team Leaders and Aboriginal & Torres Strait Islander Team Leaders. We are recruiting for multiple staff in all of these positions to supplement our current numbers in the program. In any of these roles you will operate as a member of a team to provide support to primarily alcohol and drug affected people in the central city clubs precinct. The majority of support provided includes handing out water and lollipops as a tool to chat with people and check on their welfare but support also includes reconnecting with family or friends, sober-up support, first aid management, de-escalation of potentially violent situations, mental health and welfare, reducing risk of sexual assault and support for victims, assistance to transport of accommodation and escalation to emergency services where necessary. You will also be involved in peer support of yourselves and other members. St John provides attractive wages, training and professional development as well as the opportunity to make a real difference to the Canberra Community. These positions are employed on a casual basis, initially until 30 June 2021, with the view for further extension beyond this date. Have applied for, or hold a current ACT Working With Vulnerable Persons (WWVP) card. While not essential, experience or studying in one of the areas of social work, mental health support, nursing or similar are desirable for these roles. 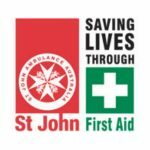 For successful applicants St John ACT will provide training in HLTAID006 Advanced First Aid, HLTAID007 Advanced Resuscitation, Mental Health First Aid and role specific skills such as small team operations and de-escalation. Ongoing employment is subject to applicant completing training provided by St John and a Police Check. Please include a cover letter and resume in your application. For further information on the role please contact Shelly Stokes, Community Programs Manager on 02 6282 2399 or via email at CBR.NightCrew@stjohnact.com.au.